WASHINGTON — Iran, which has made no qualms about its desire to have nuclear weapons in the near future, is methodically plodding toward nuclear arms talks with the West. Reuters reported that the often-delayed talks could resume sooner rather than later and that Iran denies it will use their nuclear enrichment program for military purposes. 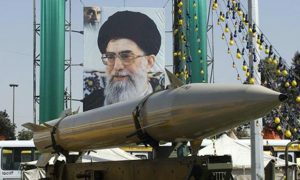 The United Nations nuclear weapons oversight agency, the International Atomic Energy Agency (IAEA) said that Iran was complying with their current terms with the international body and the West. Those terms allowed Iran to use some of its high-grade uranium for energy purposes.